Danish national Kurt Henningsen Schmidt has been placed on Europol’s most wanted list for European fugitives (here in English). 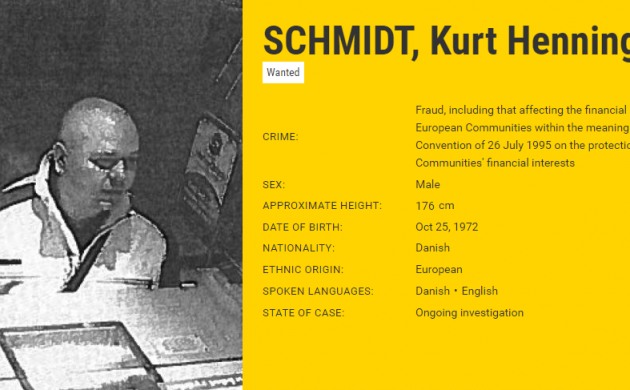 Schmidt is wanted in connection with a case involving the forgery of documents and fraud amounting to at least 1.3 million kroner in Denmark in 2015. The other Dane on Europol’s list is Ahmad Isaac Rahma, also known as ‘The Jaguar’, for the murder and dismemberment of taxi driver Torben Vagn Knudsen in Copenhagen in 2005. It is believed that Rahma has taken on a new identity and is living in Sudan, which does not have an extradition treaty with Denmark. His daughter, Jasmin, was part of a singing duo who won the 2014 edition of ‘X Factor’.